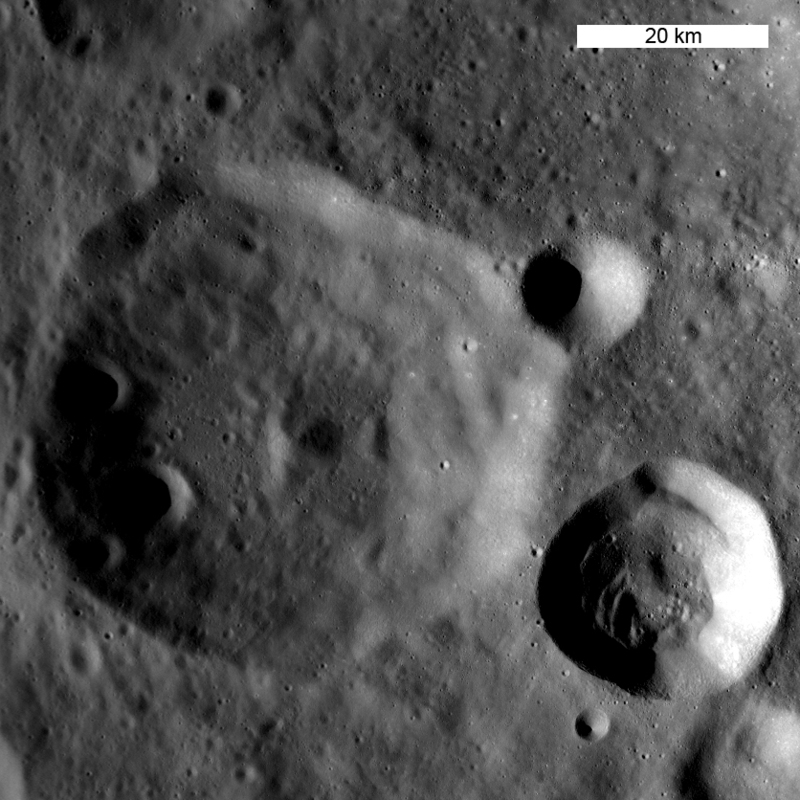 Highlands terrain inside the Dante Crater Constellation Site. A portion of LROC NAC image M121044107R, 580 m across. The Dante region has abundant aluminum and calcium-rich regolith that is available for in-situ resource utilization, allowing explorers to extend their stay in this region by processing the local materials to produce oxygen and fuel while building habitats and other structures. Figure 1: Portion of LROC WAC image M118668951M, which covers Dante Crater itself. The region of M121044107R (main image) is to the west of this scene.